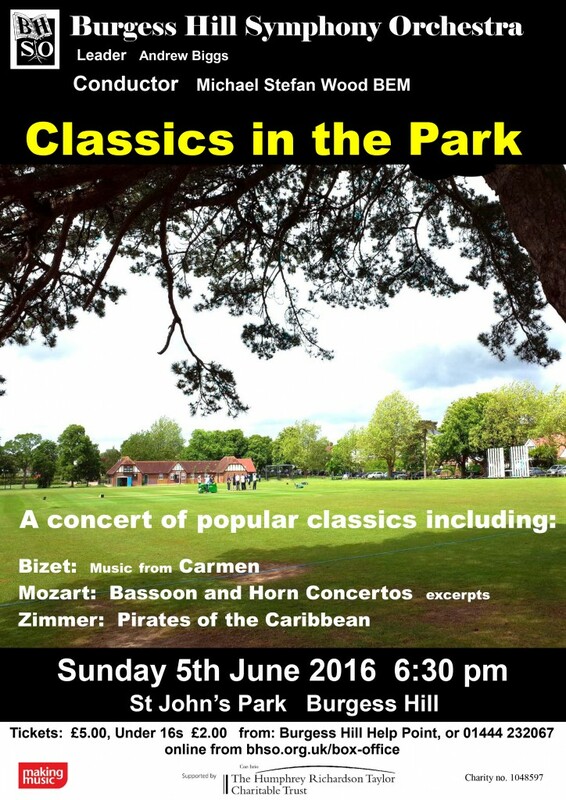 On Sunday 5th June at 6.30 pm in St.John’s Park, Burgess Hill, the orchestra will be performing favourite extracts from Bizet’s Carmen orchestral suite. Also featured are our very own Angela Kirsten and Terry Lees who will be playing favourite movements of Mozart’s Bassoon and Horn concertos. This is a very relaxed concert, with light and bright music perfect for a summer’s evening.